Found a card tucked in the corner of my small kit bag while cleaning and prepping for a trip. These images are from last fall, while traveling through the Rockies. 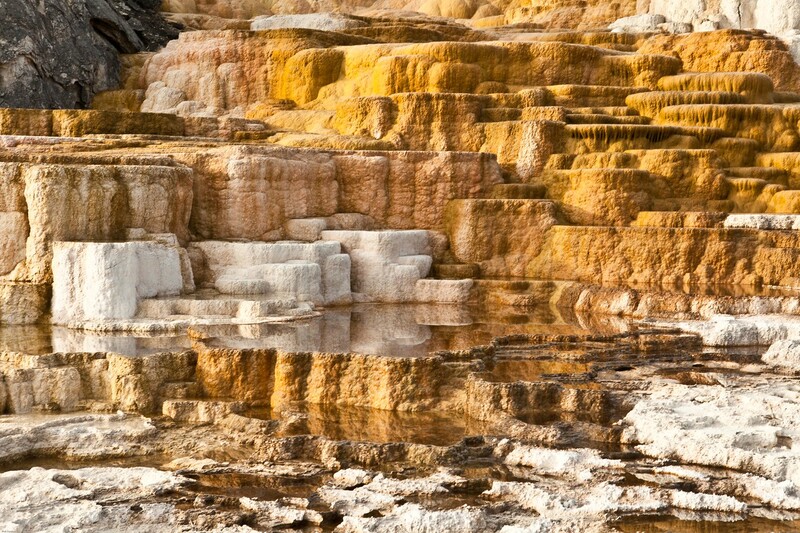 1 Lower terrace, Mammoth Hot Springs. 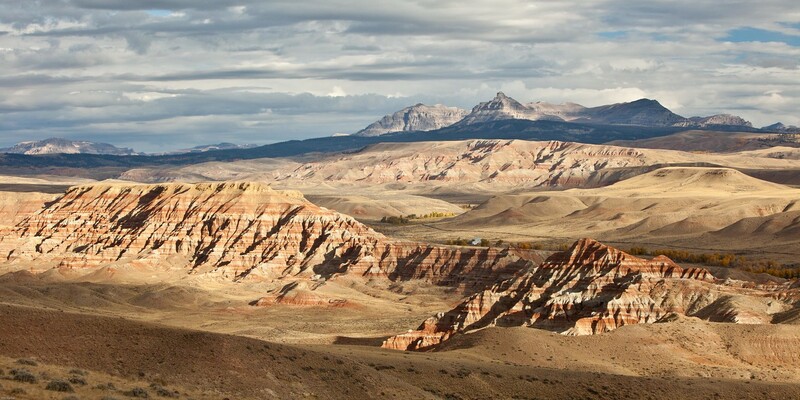 2 Badlands and Rams Horn Mountain near Dubois WY. 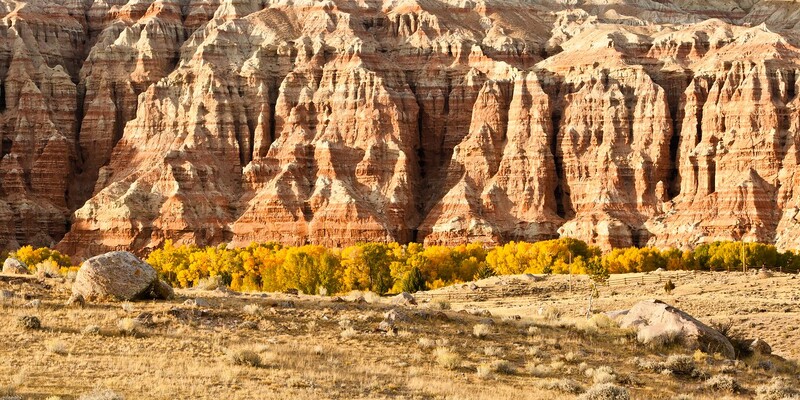 3 Badlands along the Wind River east of Dubois WY. 4 Aspens and Teton Mountains. Great Phil! First 2 are perfect!! Very nice! #2 is my favorite of the set. Terrific work. I really like the first one. There's a lot to look at. Thanks Taz. Good suggestions, when I return home I'll give them both a go. Thanks Denise, that area has a lot to explore. I hope to get there again this fall. Thanks Don. The terraces are constantly changing and I'm always looking at new compositions everytime I visit. Great stuff, Phil. I never tire of shots from Yellowstone. Thanks Tom. I never tire of visiting and shooting in Yellowstone. No.2 for me is cool. Stunning work Phil! Love them all, and I completely agree with Taz on the suggestions. I'd add that a little off the top of #2 would also lend well to the image, helping the distant peaks to 'grow' a little. But regardless of whatever I say, these are fabulous. Thanks so much for sharing! Thanks for the comments and suggestions. I haven't been doing much serious work the last year or so, trying to be retired 100%, but it seems the harder I try the busier we get. Great Phil! Bravo!! #2 is sweet! 2 had my heart skip a beat!!! What a gorgeous shot! @roaddog52, would you allow me to repost that photo on my website? I like highlighting talent. You can see what I mean here: https://www.cendrinemedia.com/Blog/Cendrines-favorite-photographs-world.